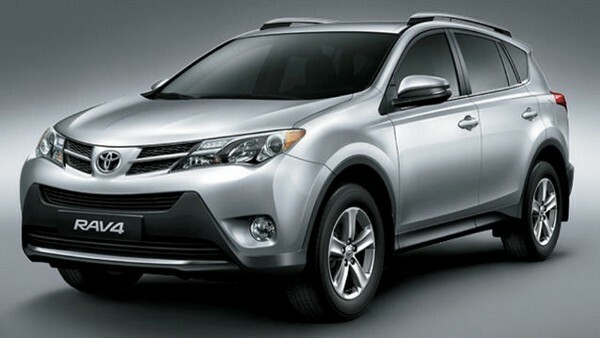 The RAV4 is the even-Steven of Toyota, neither a hulking beast of metal nor a teeny why-bother. It doesn’t accelerate, corner, brake or turn with any degree of flair or unmistakable “Yup, that’s a RAV4,” but that’s not a crime because no one buys a RAV4 to race, improve their love life or to go off-roading. The 2014 model is otherwise a well-made, well-appointed SUV that handled what I threw at it over a week’s test. Toyota’s bid sayonara to a 6-cylinder in any trim, offering instead a 4-cylinder outfitted with different configurations, none of which are turbocharged for some reason. The Limited’s 176 horsepower, 2.5 liter engine delivers 25/29 MPG city /highway respectively, not bad but not overwhelming, either, when you consider this car is likely to be full of either passengers or cargo. The good news is that after living with the car for a few days, you’ll realize it’s built for comfort, not speed, and your right foot will naturally go easy, giving you better mileage. Speaking of comfort, it’s one of the car’s outstanding aspects, with seats seemingly tailor-made for your frame and easily adjusted, a particularly quiet cabin and plenty of room for rear passengers. The car also comes with a lot of modern features that worked perfectly without having to consult the manual, such as Bluetooth audio streaming and an especially rich audio system for which you get four new Entune audio choices, including Entune Apps Suite on up-level trims. The RAV4 also has a better-than-average safety rating, receiving a “Good” rating (highest) for 4 out of 5 criteria as indicated by the National Institute for Highway Safety. Our tester, the Limited, gets a new Technology Package option that includes Blind Spot Monitor with Rear Cross Traffic Alert, Lane Departure Alert and Auto High Beam. All-wheel-drive means you’ll ford the snow year-round; another good reason to buy. The RAV4 isn’t as powerful as it was, but the 2014 model is solid, nice-looking and worthy of a place on a list of your possible new vehicles aimed not at flash, sizzle and power but at families, cargo room and reliability.